The Scottish mathematician and natural philosopher Sir John Leslie (1766-1832) had set out at the end of the eighteenth century to explore the nature of heat radiation, which he felt was a 'dubious and neglected' area of physics. Leslie's inquiry, published in 1804, details his many experiments, notably the use of two self-devised instruments: Leslie's cube and his differential thermometer. 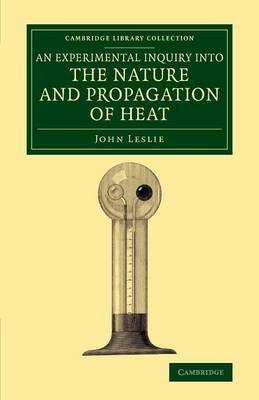 Establishing several basic laws of heat radiation and rejuvenating the debate about the physical composition of heat, Leslie's work gained him the Rumford medal of the Royal Society in 1805. Nevertheless, the same publication jeopardised his chances of obtaining an academic position at Edinburgh. A single, allegedly atheistic endnote, supporting David Hume's views on causation, prompted protests by the local clergymen when his candidature for the chair of mathematics was under consideration. Leslie secured the professorship, however, and remained with the university until his death.